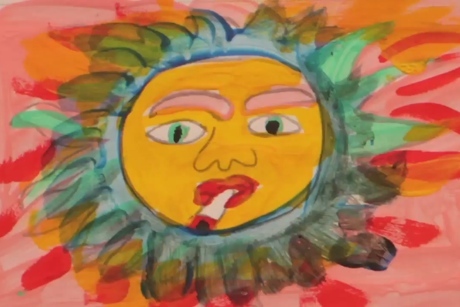 What would the Beatles' classic '60s animations have looked like if created in an elementary school art class? Absolutely Free's video for "Beneath the Air" imagines the possibilities. The song comes with a percussive, dreamily lush groove, and the accompanying video consists of psychedelic, ever-morphing animations made from crudely painted pictures by Jesi the Elder. Watch it below [via Noisey]. Absolutely Free is due out on October 14 through Arts & Crafts/Lefse.